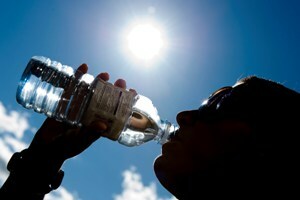 The London Ambulance Service is urging Londoners to look after themselves as hot, sunny weather makes a late return to the capital. 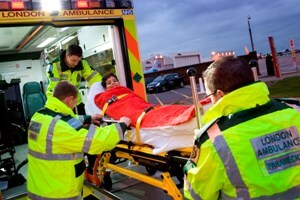 The London Ambulance Service has made an online video to teach people how to save lives with a defibrillator to celebrate World Heart Day on Friday 30 September. The London Ambulance Service is coordinating the evacuation of up to 50 Libyan patients to the UK for treatment and rehabilitation. 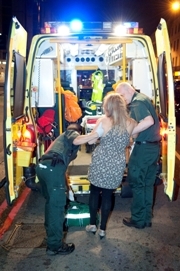 The London Ambulance Service has seen the biggest rise in alcohol-related incidents across the capital since 2008. Ten members of London Ambulance Service staff are supporting a weekend trip to Disneyland Paris for a group of chronically and terminally ill youngsters. 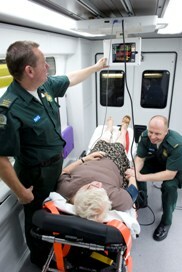 A new design of the interior of an emergency ambulance was launched today as part of the London’s Design Festival. Our staff alongside the police, fire service and the Transport for London workers will tonight (Thursday 15 September) attend a reception hosted by the Mayor of London Boris Johnson to thank them for their hard work during last month’s riots. 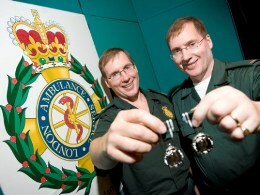 Identical twins who applied to join the London Ambulance Service together 20 years ago and now work together on the same ambulance in Friern Barnet, were awarded a long service and good conduct medal at a ceremony last week. 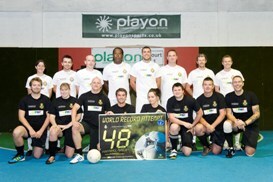 Sixteen staff broke the world record for the longest five-a-side football match at the weekend. 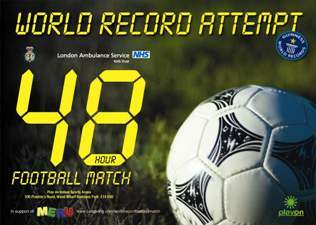 Sixteen London Ambulance Service staff will attempt to break the world record for the longest five-a-side football match this weekend. They are up against a huge endurance challenge as the current record stands at a strength-sapping 42 hours. 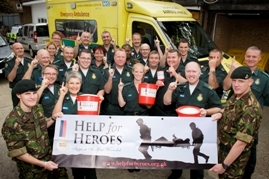 Ambulance services from across the country have launched a campaign to raise money for Help for Heroes ‘give an hour, help a hero’ appeal.